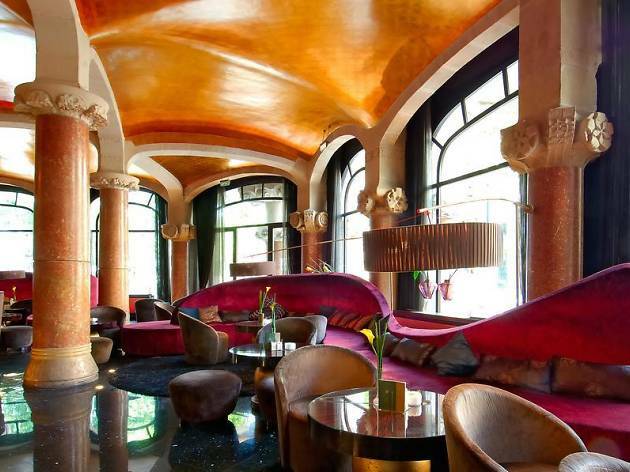 Luxury and history combine at this stunning hotel located at the top of the iconic Passeig de Gràcia, which is renowned for its architecture, designer shops and award-winning restaurants. 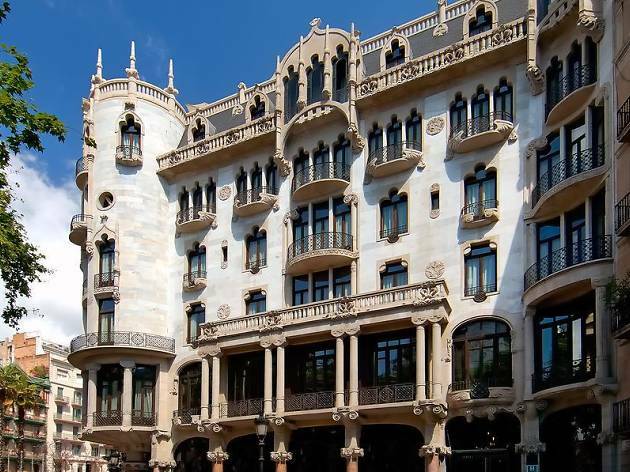 This is one of Barcelona’s most sumptuous hotels, a modernista building that dates from 1908 and was renovated in 2004 to create a unique place offering space, comfort and luxury throughout. The ground floor features the Café Vienés, memorable for its enormous windows and columns. In the past, it hosted gatherings of intellectuals whereas today it’s furnished with colourful sofas, cushions and armchairs, and every Thursday is the setting for live jazz performances. An outdoor pool, bar and incredible vistas across Barcelona can all be enjoyed on the rooftop terrace, while at the Galaxó restaurant, you can savour innovative modern Mediterranean dishes, either à la carte or from the set menu. 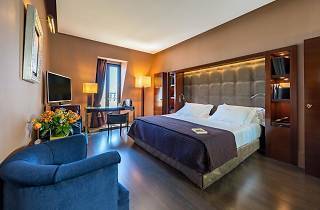 When it comes to the rooms, they all benefit from plenty of natural light, exclusive contemporary furnishings, and services such as free WiFi, dressing-gowns and minibar. A variety of suites is available if you’re coming for a particularly special stay, with some featuring an in-room sauna and balcony. Location: You’re getting the best of both worlds at Casa Fuster. 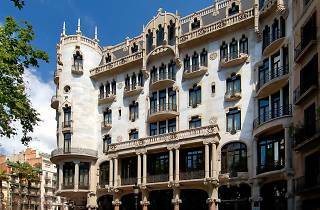 Head south along Passeig de Gràcia and enjoy modernista buildings, luxury fashion brands and a wide range of restaurants. Alternatively go north for the village-like Gràcia, to enjoy narrow streets, independent shops old and new, and a unique cultural ambience. Casa Gràcia: This is a multifaceted space that occupies a former bank branch; it includes a hip hostel and a restaurant that offers quality Mediterranean dishes and tapas. Not only that, the former bank vault in the basement has been transformed into a semi-hidden, atmospheric cocktail bar. Botafumeiro: If you’re in the mood for superlative Galician seafood (and why wouldn’t you be? ), then stroll up Gran de Gràcia to this renowned restaurant. Decorated in a classical style, at Botafumeiro the food is fresh and the menu varied. Boo: Located on the lovely nearby street of Bonavista, which has numerous tempting boutiques, Boo specialises in elegant, locally made clothes and accessories. Entrepanes Díaz: Created by the team behind the popular and very stylish Bar Mut just over the road, this is a vintage-style place based on traditional Madrid bars (there’s a 50-year minimum age requirement for waiters) and where the basic sandwich is given a new lease of life. They have around 10 innovative flavours made with gourmet meat or fish fillings from around Spain and Catalonia. 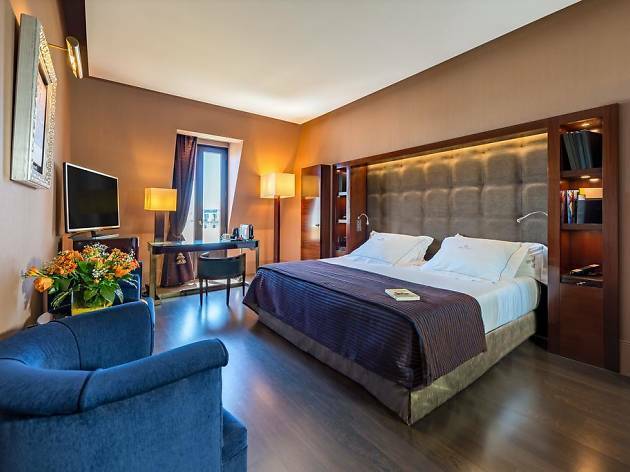 Good for: This is the place for you if you love to relax in luxury surroundings, stay in places that are so much more than just somewhere to sleep, and be mere minutes from some of the finest restaurants, shops and culture that a city can offer. Amenities: Pool, Minibar, Free WiFi, Restaurant, Bar, Reading room, Business centre. 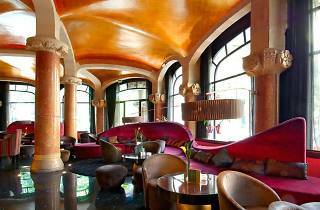 Time Out tip: While Santa Eulalia, close to the top of Passeig de Gràcia, seems at first glance to be 'just' a sartorial paradise, if you head up to the rooftop terrace, you’ll find an appealing oasis with a bistrot and champagne bar, where you can enjoy food, drinks and even afternoon tea. The ideal place to take a rest from your shopping and sightseeing!